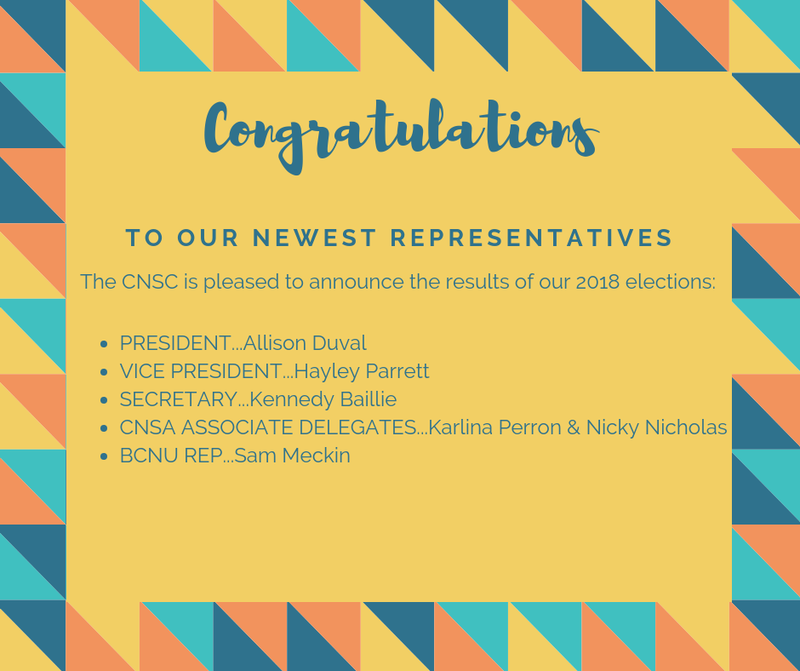 This year’s election results are in and the CNSC is proud to introduce our newest official members. These students will take over their new roles in an official capacity beginning in January of 2019. We look forward to their leadership, innovation and enthusiasm!